Many people get into real estate investment thinking they will instantly strike it rich. This is rarely the case. There is much more work that goes into successful real estate investment growth. In our latest post, we will explore ways to accelerate and amplify your real estate investment success. Real estate investment is a great way to bring additional income to you and your family. The trick is not only to find great investments but to find investment opportunities that provide sustainable growth. Keep reading for some great tips to secure sustainable real estate investment growth! 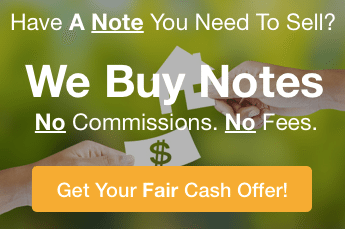 How many properties or real estate notes do you want to own? What kinds of investments are you interested in? Single-family? Multi-family? Commercial? Or Notes? Once you begin your investing journey, you are bound to meet lots of professionals who can help you. It is important to foster and nurture these relationships so you can find the professional YOU want to work with. On your team, there should be an agent you turn to when the situation arises. A lawyer whom you consult with on all deals. An accountant who keeps all of your books in order. And a lender who will be there with the funds when you need them. By surrounding yourself with a team of people you can trust (and enjoy working with) will streamline your processes and make things much easier for you!